The DCX-18 ECO is a low-cost, rechargeable autonomous level logger. This product features a small, 18-mm (0.71-in.) 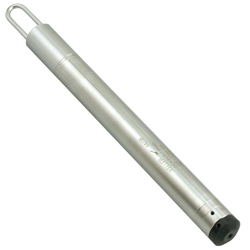 diameter stainless steel housing, and secure memory storage makes it suitable for a wide array of liquid level monitoring applications, from groundwater to CSO monitoring.